Zico at the 1978 World Cup in Argentina. Zico’s first of three World Cup campaigns came in 1978 in Argentina. Once again Brazil, who had previously won the trophy three times, entered the tournament as one of the favourites. 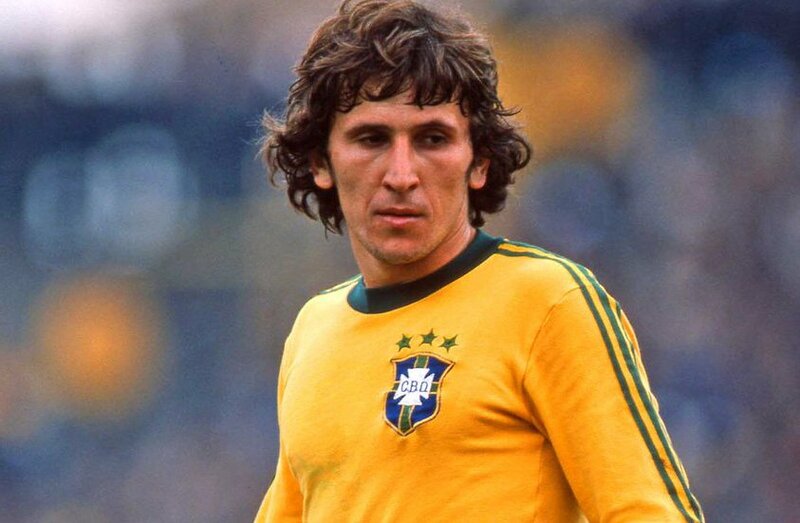 Zico, who wore eight at the time, had netted five goals in qualification, including four in one game against Bolivia but didn’t find the net in a first stage which Brazil just about snuck through in second. In the opening match of that group stage he thought he’d headed a winning goal against Sweden late on. However, it was controversially ruled out by Welsh referee Clive Thomas who said that he had blown the whistle to end the match while the ball was still in the air from a corner. The number 10 netted his first World Cup goal came in the first game of the second round from the penalty spot in a 3-0 win against Peru but Brazil finished second and missed out on the final on goal difference. They defeated Italy 2-1 in the third placed play-off but with just one goal and no World Cup victory it was a slightly disappointing tournament for Zico.